With just two day left until puck drop between BU and Union at Agganis Arena, we have plenty of information for Terrier fans preparing for the 2017-18 season. 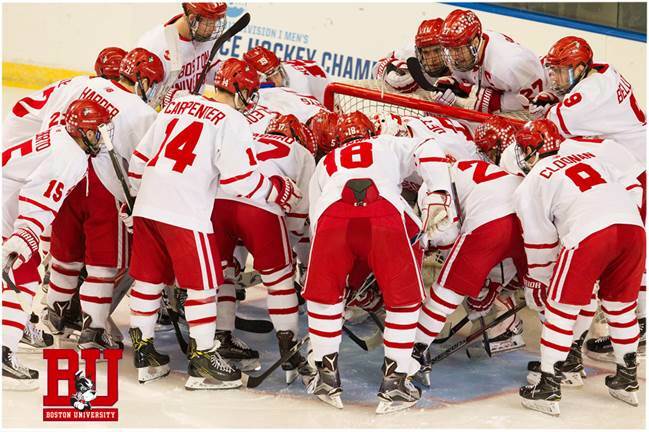 BU has issued its 2017-18 Men’s Hockey Prospectus on pdf with full player and coaching staff bios, roster, schedule and 2016-17 statistics. The prospectus can also be found in the blog sidebar under LINKS. The Daily Free Press’s annual hockey preview issue (12-page print version with photos) is out today with multiple stories on the men’s and women’s (see below) programs. 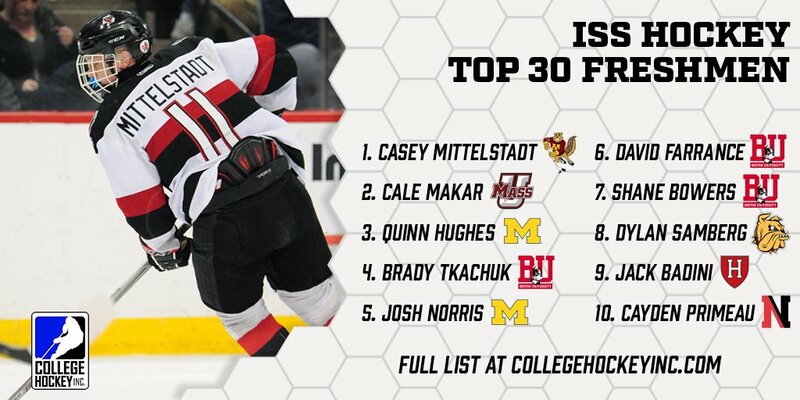 International Scouting Service has announced its ranking of the top 30 NCAA freshmen and Terriers occupy five of the top 26 spots: Brady Tkachuk #4, David Farrance #6, Shane Bowers # 7, Cameron Crotty #16 and Kasper Kotkansalo #26. While the two national polls have the Terriers ranked #2 as the season begins, College Hockey News has a more modest ranking, #7, and placed Bowers (photo) on the pre-season all-rookie team. Following a 31-point sophomore season, Jordan Greenway has set his sights on taking on a leading role in the Terriers offense. 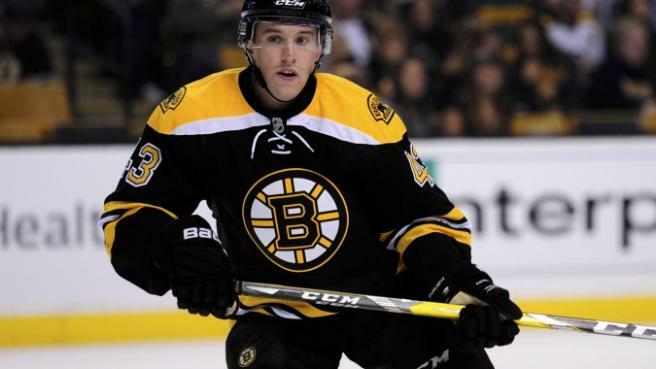 He's also looking ahead to representing BU in the 2018 Winter Olympics in South Korea and earlier in the week, the 6'5" wing attended the Team USA Media Summit in Park City, Utah..
Beginning his second professional season, two-time BU captain and All-American Matt Grzelcyk is competing for a spot on the Bruins roster. Fluto Shinzawa, a former Free Press reporter now with the Boston Globe, makes the case for Grizz to step in for the injured Tory Krug. Former Terrier Evan Rodrigues who apparently had earned a regular spot in the Buffalo Sabres line-up is sidelined by a hand injury suffered against Toronto. 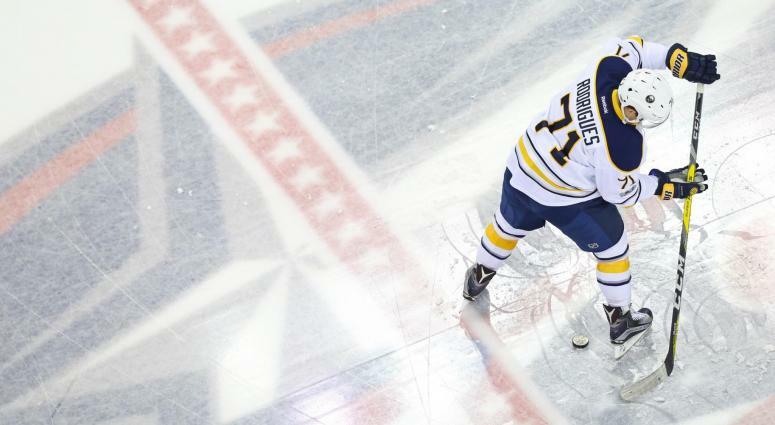 Sabres coach Phil Housely didn’t know if it was a short-term or long-term injury. Audio interview with former Terrier Alex Chiasson who is in Washington Capitals camp on a PTO. Former captain Doyle Somerby, who signed a free-agent contract with Columbus this summer, has been assigned to the Blue Jackets' AHL affiliate in Cleveland. 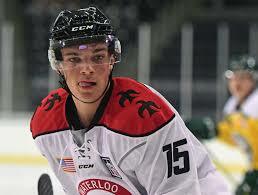 Another former Terrier whose roster ambitions have been put on hold due to an injury is Avalanche rookie AJ Greer, who suffered a concussion.